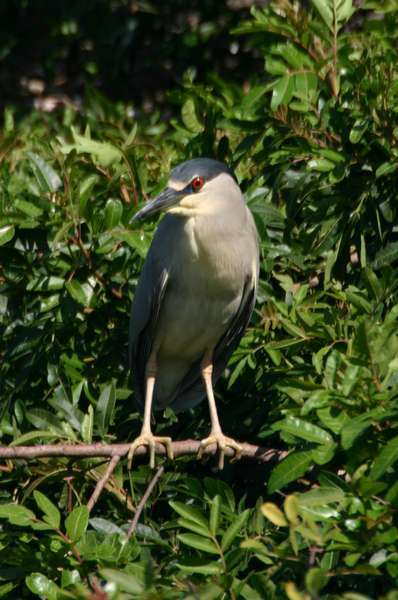 The Black-Crowned Night Heron is a little over 2 feet tall and is active, as the name implies, mostly at night. This handsome bird can also be seen frequently in early mornings. The startling red eye is an identifying feature, if you can get close enough to see it, although it is hard to mistake this adult bird for any other. 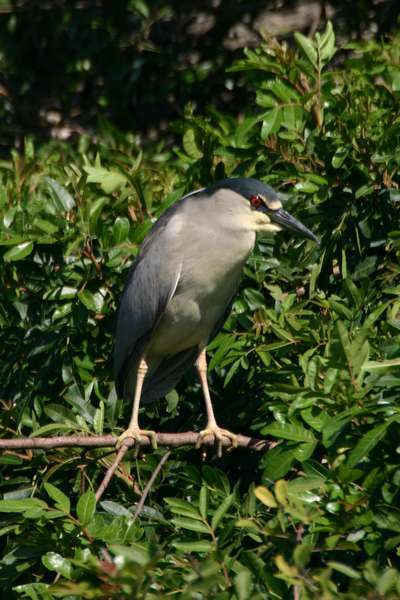 However, the juvenile black-crowned night heron (see below) is often mistaken for the adult limpkin or the juvenile yellow-crowned night heron. The shy juvenile black-crowned night heron (above) can easily be confused with the adult limpkin.